** If you belong to another PMI chapter, and are in good standing, you may pay the member price. Please contact the PM of the class for the discount code. Standard PMI membership is currently $139 with SNEC chapter membership cost at $25 for a total of $164. Join today at www.pmi.org. Note: If you are a new SNEC member, please allow 2-3 business days for PMI to process your membership and notify us of your eligibility for member discount. SNEC is pleased to offer our PMP/CAPM Exam Preparation course in Waterbury, CT. This 5-day intensive course based on the PMBOK 6th Edition will run every Saturday from March 9th to April 6th, 2019, 8:30 am to 4:30 pm at Post University, 800 Country Club Road, (room TBD), Waterbury, CT. Registration and Networking will start at 8:00am. A training material binder, PMBOK 6th Edition and Rita Mulcahy PMP® Exam Prep – 9th Edition will be provided. Students will also receive a Process Learning System (via BlueIsis) – an innovative kit to organize and remember the critical process and knowledge areas from the PMBOK. Coffee/water, lunch, beverages & snacks will be provided during the class. Charles Jones, PMP is currently employed as the Strategy & Risk Manager for The United Illuminating Company, an electric distribution utility. He has over 20 years of experience in project management in a variety of business environments. During his career, he has developed and implemented project management capability improvement initiatives, led PM training & mentoring, and managed projects at all levels of the organization. 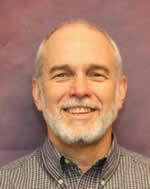 Charles is a certified PM trainer and regularly teaches a variety of project management classes. In addition to his certification as a PMP, Charles is a member of the PMI Leadership Institute Class of '05 and is a Certified Business Continuity Professional. He holds a Mastery Certificate in Project Management from George Washington University and a BA from the University of North Carolina at Chapel Hill. Please register online to ensure an accurate count and reserve a spot at this event. Seating is limited, and no walk-ins will be allowed. If the event is cancelled by SNEC-PMI and is not being rescheduled, the pre-registered participants will be notified via an email broadcast and a full refund will be processed. If the event is rescheduled and the pre-registered participant cannot attend the new date, SNEC-PMI will process a full refund. For any individual cancellations, please notify the PM of the event. Any user requested cancellation prior to registration ending, will be refunded the amount paid, minus a 10% cancellation fee. SNEC-PMI does not provide refunds for any user requested cancellations after the registration deadline or for No-Shows. In the event that inclement weather is forecast for the time of the event, a cancellation decision will be made prior to the scheduled event. If the meeting is cancelled, registered participants will be notified of the cancellation via an email broadcast. We will also endeavor to get meeting cancellation notices broadcast by local media. Notification of the re-scheduled event or refund will also be communicated via an email broadcast. If a decision is made to hold the meeting, our normal cancellation policy (above) will be in effect, i.e. there will be a 10% cancellation fee for any individual cancellation requests prior to the registration deadline. We do not refund any individual requests after the registration deadline or for no-shows. When you enter the SNEC-PMI event, you will be entering an area where photography, video and audio recording may occur. SNEC-PMI takes photographs and/or makes audio and/or video recordings of people involved in chapter activities and/or events. SNEC-PMI staff may use such photographs or audio/visual recordings to recall activities or participants and may use them in SNEC-PMI's publications and/or advertising materials to let others know of our event. In addition, local news organizations may hear of our activities or events and SNEC-PMI may allow them to record our events for news reporting on special interest features. By entering the SNEC-PMI event premises, you consent to: photography, audio recording, video recording and its/their release, publication, exhibition, or reproduction to be used for live streaming, promotional purposes, advertising, inclusion on web sites, and/or any other purpose by SNEC-PMI. You release SNEC-PMI from any liability connected with the taking, recording, digitizing, and/or publication of photographs, computer images, video and/or sound recordings. By entering the SNEC-PMI event premises, you waive all rights you may have to any claims for payment or royalties in connection with any exhibition, streaming, webcasting, or other publication of these materials, regardless of the purpose. You also waive any right to inspect or approve any photo, video, or audio recording taken by SNEC-PMI or the person or entity designated to do so by SNEC-PMI. You have been fully informed of your consent, waiver of liability, and release before entering the event.